Lightweight and pliant reinforcement jacket with a fixed hood the perfect insulation garment that slides easily under or over a shell jacket and that takes up almost no room in your pack when it is not being used. Made from stretchy polyester and padded with the new synthetic G-Loft Supreme that feels like down and has an exceptionally high insulating ability, even in wet conditions. The hood is well fitting and has a one-hand adjustment at the back. There are two open hand pockets and a zippered chest pocket on the left-hand side. On the right-hand side there is an open inside pocket in mesh. The front zipper is two way and there is elastic edging at the cuffs and hem. Lightweight insulation jacket that can be worn as a mid layer or by itself. 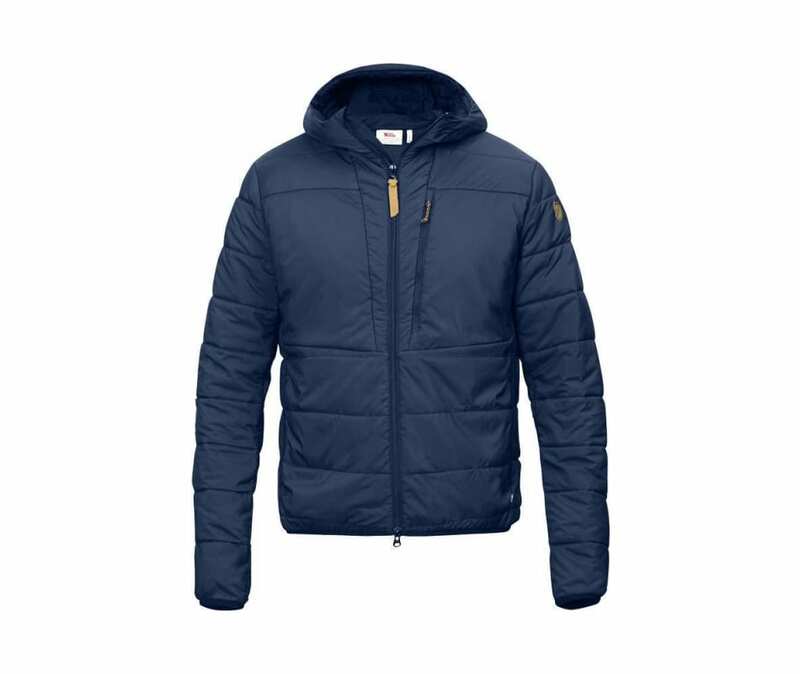 Snug-fitting hood with a one-hand adjustment at the back.